size? 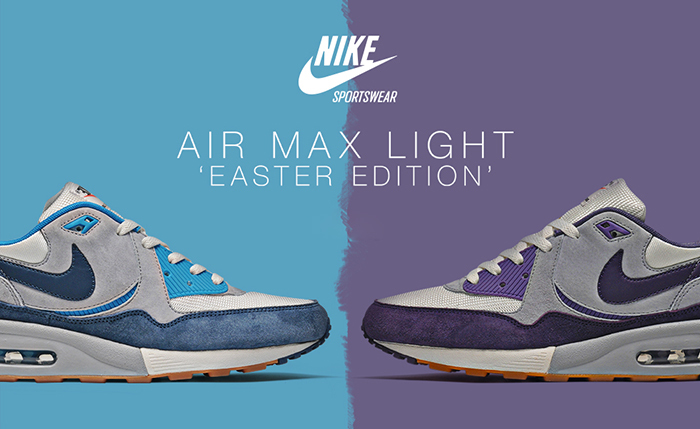 continue their fruitful run of global Nike exclusives with today’s release of the Air Max Light ‘Easter Pack’. 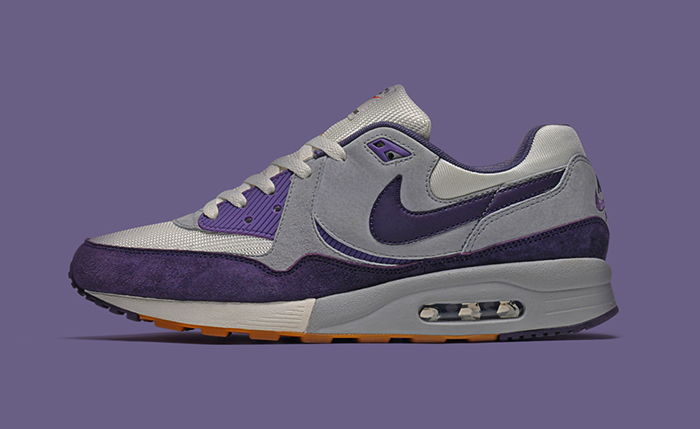 Originally released back in 1989, the Air Max Light served as a bridge between the two most iconic Air Max models, the Air Max 1 (1987) and the Air Max 90 (1990). For years, the AM Light sat unnoticed as a sportswear classic, often overlooked by the typical sneaker consumer and left for the JD market or the real archival running heads. 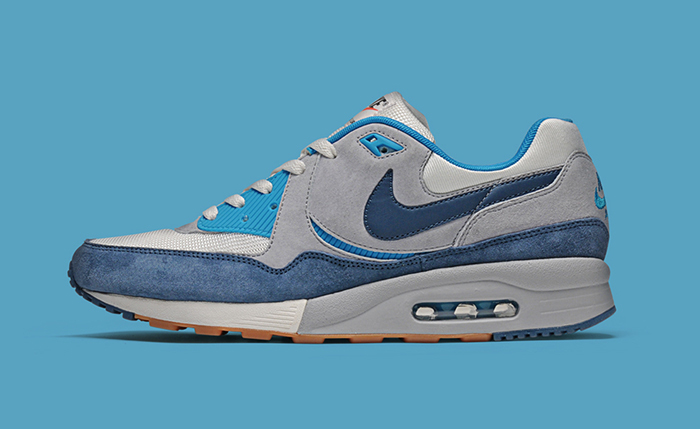 In recent years the Air Max Light has crept up behind the Air Max 1 and is looking set to give it a run for it’s money, already finding itself to get more attention that it’s younger sibling the AM90. This semi-recent return to the spotlight is almost solely due to the power house that is size? picking it up and deciding to put it back on their shelves a few years back, giving the shoe some much deserved attention. Here we see Nike and size? celebrate Easter with this Easter egg themed double pack that are mildy reminiscent to the OG colourway of AM90s in their colour placement, but differing in their colour choice with the use of turquoise and violet to keep things very seasonal. A gum outsole with a coloured front really finish these off with a touch of class that the classic running fans will appreciate (unlike the OG’s). Both colourways hit the shelves of size? this morning for £100 a pop and we’re expecting them to fly out the doors due to such a cracking job in the design department (excuse the pun).